Wonderful Home in a Great Location of Bay Ho! Modern Kitchen with Quartz Countertops, Stainless Steel Appliances and Built in Wine Fridge. Spacious Flat Lot with Covered Patio and Outdoor Gas Fireplace. Remodeled Baths with Tasteful Upgrades and Neutral Colors. Dual Pane Windows with Plantation Shutters and Wood Doors. Tile Plank Flooring. Large Shed for Storage or Potential Future Workshop/Office, You Decide! 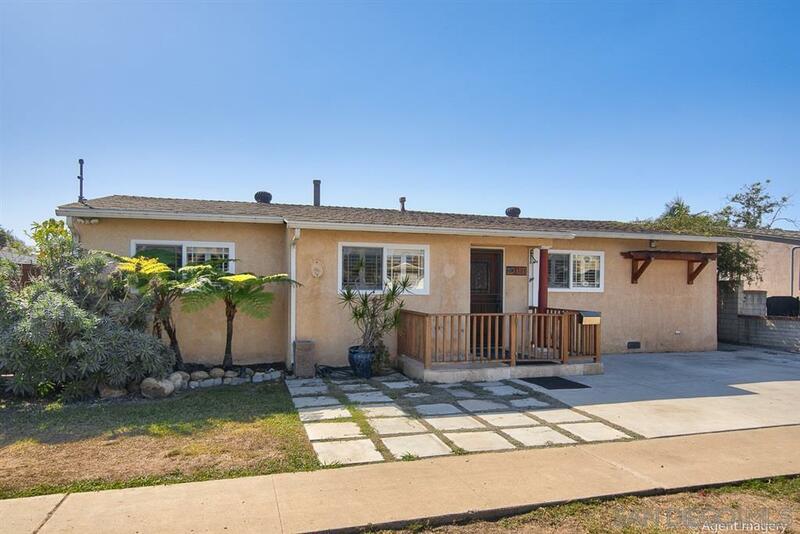 Location close to Shopping and Clairemont Square. Approximately 3 1/2 miles to La Jolla Cove!